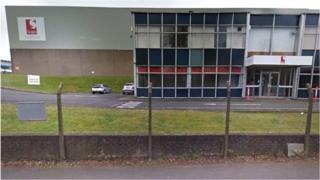 More than 70 people are in danger of losing their jobs after a firm making adhesive products announced plans to close of two plants, a union has said. Unions and management are in discussion about the future of Scapa Group sites at Woodside Industrial Estate, Dunstable, and Cosgrove Way, in Luton. The firm which makes products for health services and industry said talks with staff and unions were under way. The union said it was urging the company to review its decision. Unite regional officer Jeff Hodge said: "We are in the early stages of the consultation on the future of the Scapa sites in Luton and Dunstable." The union said 83 people work at the two plants and more than 70 jobs are at risk. As first reported in Dunstable and Luton Today, a spokesman for Scapa Group said: "Scapa Group internally announced a proposal to close its manufacturing sites in Dunstable and Luton in August 2018. "As such, the business has now entered into a period of consultation with employee and trade union representatives based at the sites. "At this stage, to honour the consultation process and in respect to our employees, there is no further update." The Health and Safety Executive launched an investigation at the Dunstable plant over the death of a worker in April this year.